Despite oil falling below $40 per barrel and the provincial economy sliding towards recession, one of Calgary’s most consuming debates over the coming years will centre on a proposal to construct an $890-million sports complex for the city’s professional hockey and football teams. Calgary’s Saddledome will be the oldest NHL arena in Canada when a new rink opens for the Edmonton Oilers in 2016. While the proposal by Calgary Flames president Ken King revolves around the need to replace aging sports venues, there’s more than a pinch of civic rivalry in his plan to match the hockey arena under construction in Alberta’s capital city. 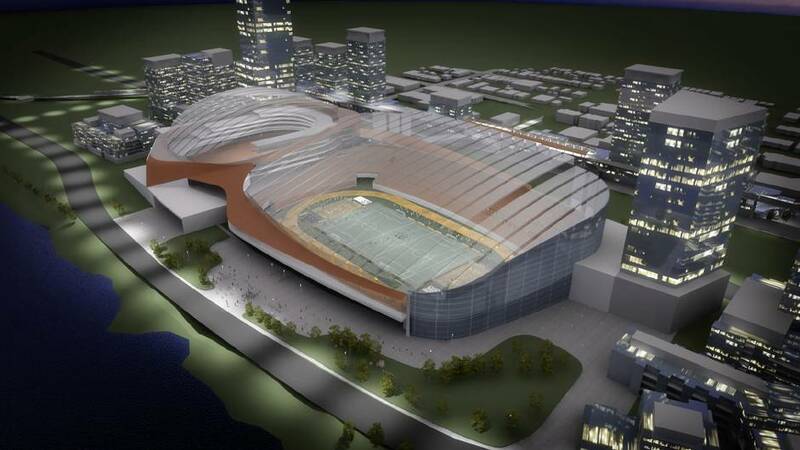 Mr. King’s proposal, dubbed CalgaryNEXT, would replace the city’s two main sports venues with a new arena for the Flames, a stadium for the CFL’s Stampeders and a public fieldhouse for community sports. The proposed location is along the Bow River on a heavily contaminated industrial site west of downtown. Construction could finish as soon as 2020, although Mr. King concedes that such a short time-frame would be a challenge. Flames president Ken King announced a proposal called CalgaryNEXT, which would replace Calgary’s two main sports venues. The bruising route taken by the Edmonton Oilers to secure funding for their arena could serve as a warning to Mr. King and the Flames. Even after city leaders there were convinced in 2008 of the need to support the project, now known as Rogers Place, negotiations with city council dragged over five years. Talks ebbed and flowed, proposals were nixed and team owner Daryl Katz even suggested during a low point in negotiations that he could move the franchise. The projected price tag in Edmonton is now $604-million for the new arena and the rebuilding of the downtown area around the rink. Mr. Katz put up nearly $24-million in cash and will cover a further $138-million in lease payments. The remainder of the cost will be covered by new taxes, a ticket tax and municipal spending. Negotiations for Edmonton’s Rogers Place dragged on for five years. The projected price tag for the city is $604-million for the arena and rebuilding the downtown area around the rink. “It’s not a great financial use of taxpayer money, but it can be a good addition to the chemistry of making a city a good place to live,” said Glen Hodgson, chief economist for the Conference Board of Canada said of financing for arenas. Last year, Mr. Hodgson completed a study of arena projects in Canada and concluded that taxpayers should pay for only a modest portion of the bill. 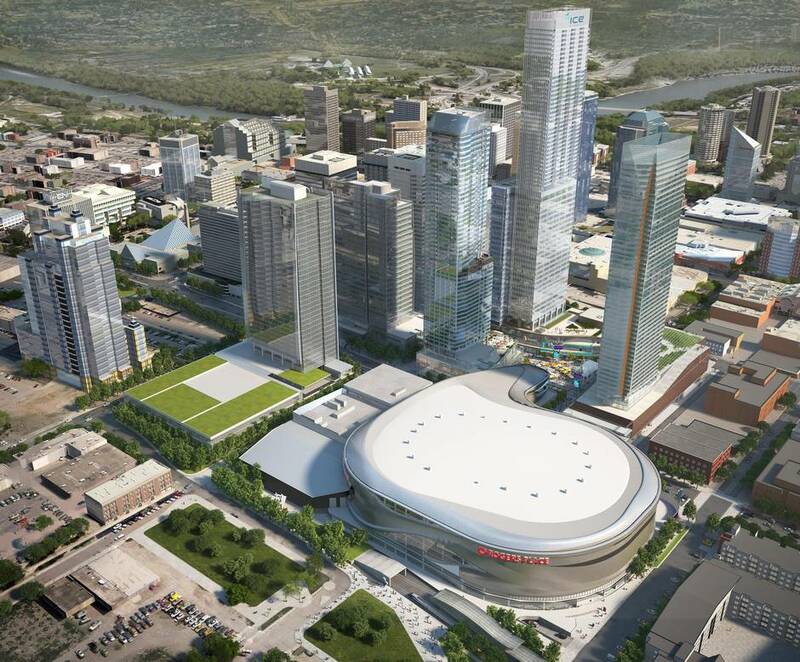 Even before construction ends on Edmonton’s new arena, local leaders have heralded the project as a success for its part in revitalizing the city’s long-neglected core. More than $3-billion in private projects have been approved around the rink, including a 62-floor office building and a new high-rise hotel. “It’s already exceeded all expectations,” said an aide to Edmonton’s mayor. The proposed financing for Calgary’s project could see the city assume $690-million in liabilities, much in the form of loans that would be repaid through new taxes. That proposal could put Mr. King on a collision course with Mayor Naheed Nenshi and a city council that has ruled out providing public money to for-profit projects. Some on Calgary’s city council have already raised red flags about the financial picture presented by the Flames. The final price tag for the project could top $1.5-billion, according to Druh Farrell, who says the cost of new utilities, transportation links and the environmental rehabilitation of the site hasn’t been included. The sports complex would be built on the site of a factory operated by the Canada Creosote Company between 1924 and 1962. The highly toxic creosote used to treat railroad ties and utility poles has contaminated the area down to the bedrock and migrated across the Bow River. The cleanup cost has been estimated at anywhere from $30-million to $800-million. “It’s kind of ironic, but if there was an enormous price tag for the cleanup that scuttled the project, you’d still be left with one of the largest toxic sites in a major city in Canada,” Mr. King said. Premier Rachel Notley has said that she’s open to providing funding for the project. She added, however, that it would be unprecedented for the province to help fund the cleanup of the creosote due to the province’s polluter-pay principle. Mr. King says he’s applauded Ms. Notley and Mr. Nenshi for their willingness to negotiate. Having seen the long process in Edmonton, he’s pledged not to “gnash teeth” during negotiations.